The humble banner ad originated at Wired magazine when its creator started using this advertising unit on the then-influential magazine’s website (HotWired) in October 1994. I remember HotWired well, as I was busy researching the early origins of the web for a varsity project. This was a time of basic HTML websites, without a hint of social media or a need for fake clicks on ads. According to the history of the banner ad on the Wired.com website, “the first HotWired banner ad was from AT&T, prophetically asking ‘Have you ever clicked your mouse right here? You will.’ “. Fast forward to the hectic times of fake news and even more fake user accounts of today and click fraud has become a major issue for brand marketers worldwide. Programmatic (automated) banner and other online ad formats and distribution mechanisms mean human control over when and where online ads appear, don’t appear, are clicked on by a robot or by a real person, are seemingly a bit of a hit and miss affair. Click fraud, the illegal practise of faking human clicks on ads for a potentially big “pay-per-click” financial benefit, is a roaring business. The entire industry of online advertising seems to be under suspicion. In addition to straight-forward click fraud, brands are concerned about where their ads appear. Many brand ads can show up on undesirable sites, over which the brand has little or no control. Google, for instance, simply cannot guarantee that ads placed via its various programmatic tools will not appear along undesirable content. Advertisers are concerned. In a July 2017 announcement that would have sent shivers down the spines of many websites that depend on online advertising for survival Procter & Gamble, one of the biggest advertisers in the world, said it has cut up to $140m in digital advertising. The Wall Street Journal reported that Procter & Gamble “said that its move to cut more than $100 million in digital marketing spend in the June 2017 quarter had little impact on its business, proving that those digital ads were largely ineffective”. 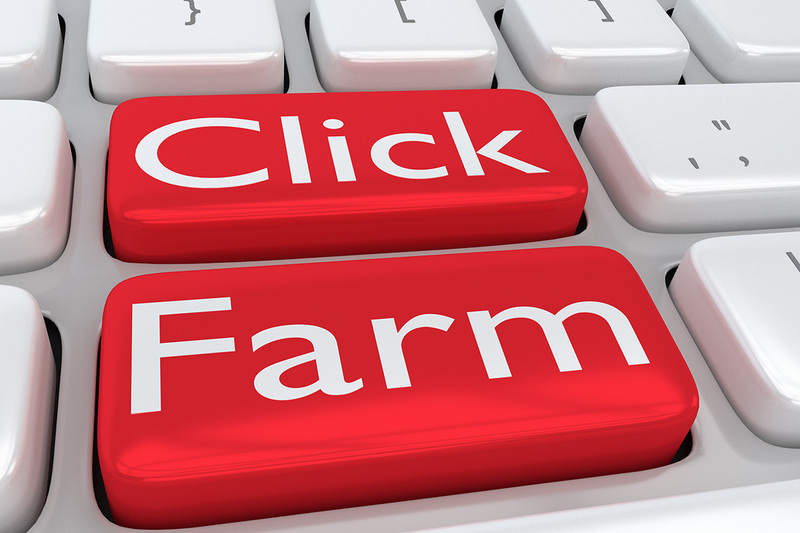 In a recent BuzzFeed exposé, the practise of click fraud is explained in great depth. The investigation by the popular site explains that fraudulent sites automatically go into a never-ending forwarding loop, with ads (including video ads) never seen by humans count as impressions to generate advertising revenue. Social media advertising is currently under fire from lawmakers in the US, because they seemingly do not or did did not realise their automated advertising systems can be used for nefarious purposes.